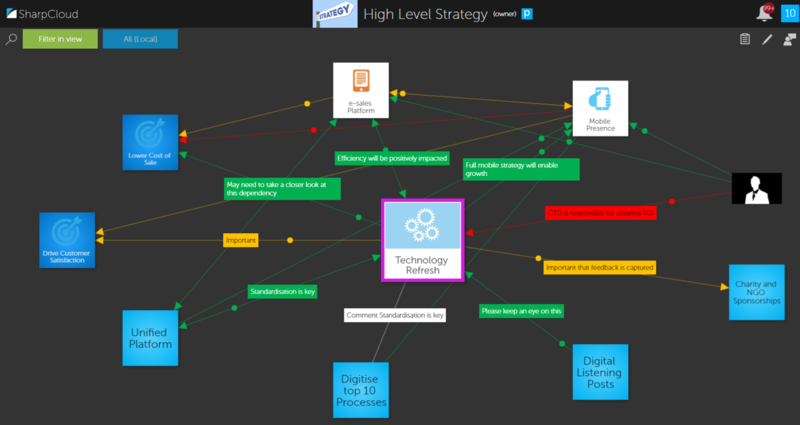 SharpCloud is visual software for strategic portfolio management. We provide executive management with new insights and relationships across their organisation. Typical use-cases include; Enterprise Risk Management, Portfolio Management, Innovation and IT Roadmapping. 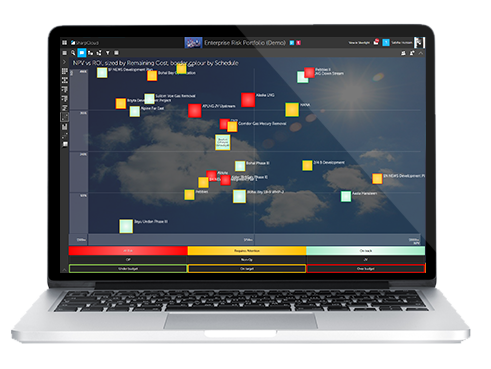 As an interactive data visualisation platform, SharpCloud can help improve strategic portfolio management across the business and communication to your leadership teams. SharpCloud is brilliant at blending and leveraging data and resources from the line of business tools you currently use to support, run and deliver your Strategic Portfolio. SharpCloud provides complete integration with SharePoint and Excel Online. You can bring in data stored in your SharePoint library and a table from a spreadsheet, and constantly sync your stories to remain up-to-date with the latest data, maximising collaboration between teams. You can connect to and sync with multiple SharePoint sources at any time so you are always working with the latest information. This functionality removes the manual operation of copying and pasting between SharpCloud and the desktop version of Excel, fully incorporating data entry seamlessly into the SharpCloud interface to provide greater efficiency and transparency across your business process and bring data to life in visually engaging stories. SharpCloud works seamlessly with SharePoint and Excel to transform information and business intelligence into engaging visual reports, creating a narrative across strategic portfolios. This top-down approach provides a visual representation of the performance of individual projects to your executive leadership teams, creates transparency and highlights new insights and relationships for informed decision making, putting the power back in the hands of C-Level executives. Contact Andy Ogg, andy@sharpcloud.com for more information. With connectivity to tools such as SharePoint, Excel, SmartSheets, JIRA, Azure DevOps, VSTS, P6, Oracle, SQL and many more, look out for the next connector blog in this series!